Straining or pulling a muscle is usually caused by overextending or tearing the muscle. Back pain is often caused by overloading or overusing a muscle and if the muscle is stressed beyond its endurance, injury will often occur. Pain often occurs in the lower back when pressure or stress is placed on the back and an individual’s muscles are not strong enough to absorb it. Lower back strain is a common injury, especially as people age and become less flexible. Even simple movements such as lifting a pot off of the stove can cause injury to the lower back. When a back injury occurs, inflammation will typically begin almost immediately creating pain and triggering muscle spasms. Depending upon the severity of the lower back strain, pain can range from moderate to severe and treatment may involve anti-inflammatory, ice, heat, or even physical therapy. Weak back muscles are more prone to injury, but any muscle can be overloaded and injured. Poor lifting techniques, falls or sudden movements which twist the back muscles can all cause back injuries. At times, a lower back strain may be complicated by a herniated spinal disc. When this happens, the pain may become so severe the injured individual may not be able to move and could require hospitalization or even surgery to correct the injury. Some lower back pain is caused by chronic injuries which result from extended overuse of specific muscles. These types of injuries may take months to develop, but when they do the pain can be severe. An example of this type of injury is neck and back pain resulting from sitting in the same position for long periods of time. Muscles get weak and fatigued when forced to hold one position for too long. 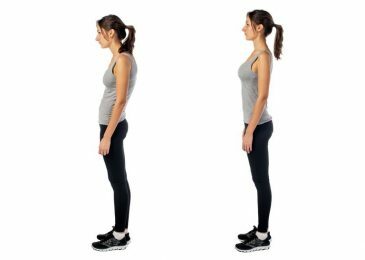 Poor posture can be another cause of back pain because the spine is not aligned correctly forcing the back muscles to work harder. This leads to strain, fatigue and back pain. To help combat these types of chronic injuries, individuals should switch positions at least once per hour and get up and move around several times during a session. Also, it is extremely important to practice good posture, holding the spine as straight and aligned as possible. 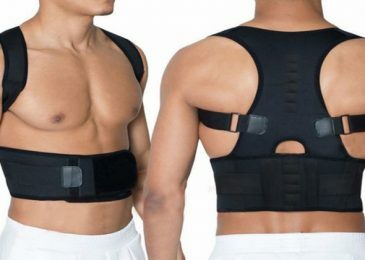 Sudden, quick movements may also cause back injuries. These types of movement, especially if they are repetitive such as shoveling snow or raking the yard, can cause an overuse back injury. It does not take much of a jerk or pull on a weak back muscle to cause injury. Holding muscles in a fixed position for a length of time may also result in injury. Looking up while painting the ceiling is a good example of this situation. Holding one’s head in this position for a length of time can result in a cramping, painful overuse injury. Fortunately, many overuse back injuries that happen quickly also heal quickly. It is very important that the activity cease and the injured muscle be allowed to heal. If activity is started again too soon, before the injured muscle has a chance to heal, chronic back problems may result. Back injuries are fairly common injuries and with a little planning and forethought, may mostly be avoided. Staying in shape and exercising are good ways to help keep back muscles strong and able to absorb more stress and use. When an injury occurs, it is very important that the muscle be allowed to rest and heal before activity begins again. Strain in the back can be treated in different ways. The treating physician decides whether a non-operative (so-called conservative) therapy is possible or whether in severe cases surgery should be performed. During a physiotherapeutic treatment special back exercises are performed under instruction. You can mobilize the spine, relieve tension and strengthen the core muscles. Massages, ultrasound treatments or electrotherapy can also help with healing and relieve your lower back strain. The doctor decides which training is best for the patient. Pain and anti-inflammatory drugs or ointments can help reduce pain in the short term. This avoids unpleasant restraint. A doctor should be consulted before taking tablets. Everyone can relieve their back strain in everyday life with a few tricks and prevent pain. Training regularly: Even three moderate training sessions of 45 minutes per week increase well-being, strengthen the immune system and mobilize the body. Gentle sports such as swimming or walking are particularly gentle on the joints. Healthy Diet: A balanced diet keeps you fit and helps to reduce excess weight and relieve the back strain. Gentle lifts: When lifting objects you should squat down and load your leg muscles instead of lifting them “out of the cross”. Properly wear: Heavy objects are best worn close to the body. The one-sided loading of an arm should be avoided. Stay active: Especially those who spend a long time at their desk should take every opportunity to move for example, take the stairs instead of the elevator, make a standby phone call or take a walk during lunch break.